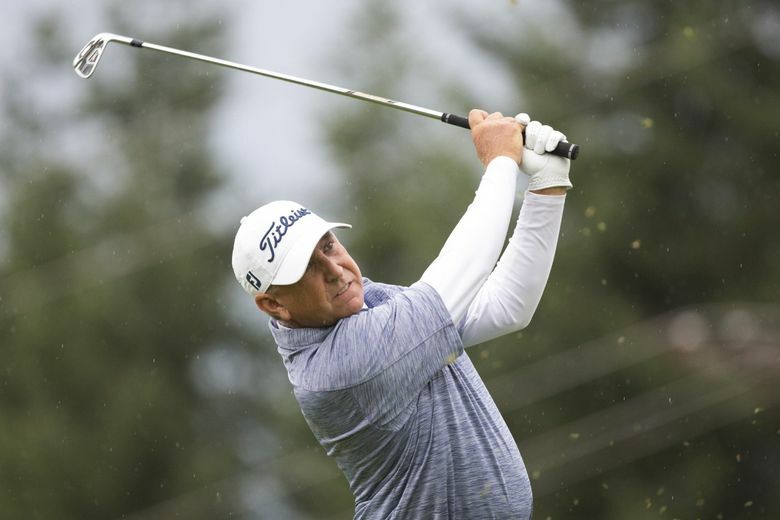 Scott Parel, 53, shot a 9-under-par 63 at The Club at Snoqualmie Ridge, the best round of the day to win by three shots over Kevin Sutherland. Parel finished at 18-under 198 for the 54 holes. Scott Parel was not impressed when he held a share of the first-round lead at the Boeing Classic, saying it didn’t mean anything. But when he finished the final round Sunday on top of the leaderboard at The Club at Snoqualmie Ridge after the lowest round of his PGA Tour Champions career, it meant the world to him. Parel, 53, shot a 9-under-par 63, the best round of the day to win by three shots over Kevin Sutherland. Parel finished at 18-under 198. Parel started the final round five shots behind leaders Sutherland and Ken Tanigawa. It took him just nine holes to make that up, shooting a 7-under 29, a course record for the front nine, to pull ahead by a pair over Sutherland and Tanigawa, who were stuck in neutral. Parel finished the front nine with six consecutive birdies and he took his first look at the leaderboard after his birdie on the eighth hole. “I got a little interested because I knew I was 6 under and … I was maybe one ahead of where (the leaders) started,” he said. Then if there was any doubt he would win, he ended that with back-to-back birdies on the 16th and 17th holes. His improbable birdie on the 17th came on a 45-foot putt that had to go over a ridge. When it found the hole, Parel took a four-shot lead and the only thing left to determine was the margin of victory. “I surely didn’t expect to make it,” said Parel of his long putt, saying it was about a one-in-50 chance. He staged the biggest final-round comeback in tournament history, with the previous best being a rally from three shots behind. Tanigawa and Miguel Angel Jimenez tied for third, five shots behind. 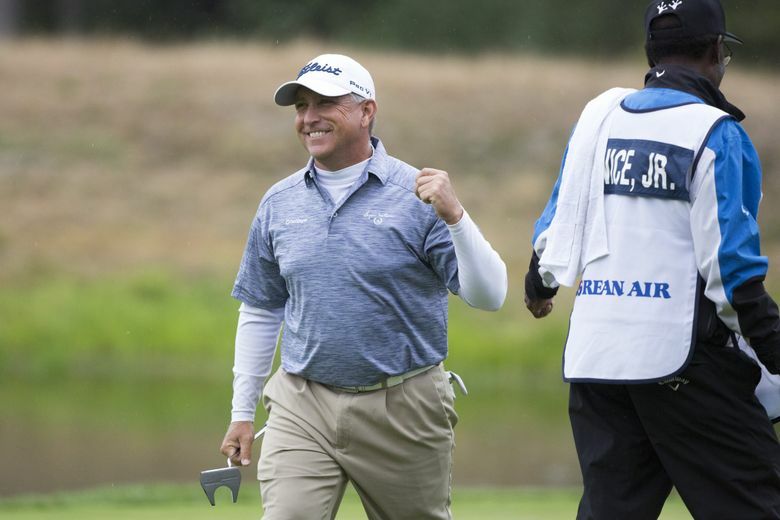 Seattle native Fred Couples shot a 65, his lowest score ever at the Boeing Classic, and moved up 28 spots into a tie for 15th. Parel did not play college golf while attending Georgia, where he earned his degree in computer science. He then worked for a decade in the computer business before turning pro with wife Mary’s encouragement. So while Mary went to work as a registered nurse, he played 221 times on the Web.com Tour, a tier below the PGA Tour. He got his only victory at age 48. “People used to ask me who my sponsor was and I would say my wife,” Parel said. That victory on the Web.com Tour against much younger players gave him confidence that he could have success on the 50-and-older PGA Tour Champions. The 5-foot-5 Parel, one of the longest hitters on the tour, earned full-time status on the Champions tour by finishing first at qualifying school late in 2016. He ranked 21st in the Schwab Cup standings last year and entered this tournament ranked 12th. He moved up to eighth after earning $315,000 for his victory. Sutherland was spectacular Saturday in shooting a course-record 60. 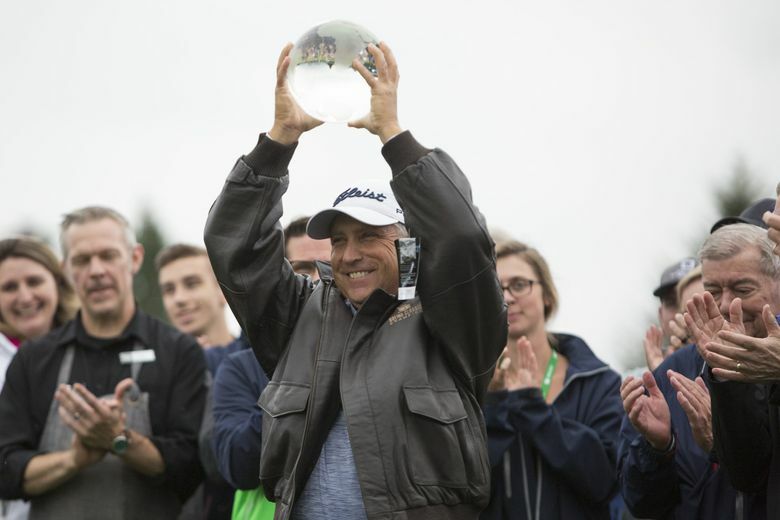 Sunday, he was remarkably steady, but being steady does not win the Boeing Classic. Sutherland and Tanigawa began the round three strokes ahead of their nearest competition. But Sutherland, who made 12 birdies in his final 15 holes Saturday, kept making par after par in his final round. He made 17 consecutive pars before making an inconsequential birdie on the 18th hole. Parel shared the first-round lead after a 65, but fell behind by five shots after shooting a 70 Saturday. He said to get his first Champions victory, things would have to fall into place. He got that when the leaders struggled, giving those who needed some help a chance. But Parel was the only one to seize upon the opportunity. “I had shooting 9 under in mind because I thought 18 under would have an outside chance,” he said. And on this Sunday, it was more than good enough.